Andrew Hamilton brings to the SMSF Association a wealth of knowledge and experience, gained from more than 25 years of working within the self-managed superannuation fund (SMSF) industry. In February 2014, Andrew stepped down as the Chair of the SMSF Association, after completing two years in the role, and now holds the role of Director of the Board. Andrew’s involvement within the SMSF industry commenced in 1992 with the establishment of Cavendish Superannuation Pty Ltd. It was here that Andrew took a small start-up business to an establishment employing over 120 people and managing in excess of 5000 self-managed superannuation funds. Cavendish quickly developed a reputation as being “Australia’s leading SMSF provider”. In June 2012, AMP acquired Cavendish’s SMSF Administration and Investment Portfolio Administration operations and Andrew was appointed the role of Managing Director AMP SMSF Administration, which he maintained until mid-2014. 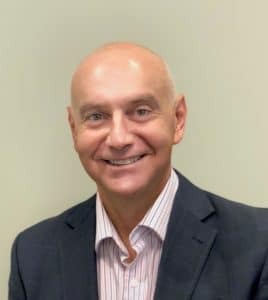 It is Andrew’s broad knowledge of all aspects of superannuation, his experience in running a business, understanding the SMSF Association’s membership, as well as his ability to think strategically that position him to offer invaluable insights and advice to the SMSF Association. Robyn joined the SMSF Association Board in June 2017. She is also a non-executive director of Gateway Credit Union and Diversa Trustees Limited. She has over twenty years’ experience in the financial services industry and is a former Executive Director of Macquarie Bank. Robyn is a management consultant specialising in governance and has held non-executive director positions on the boards of CUSCAL, MLC School Burwood, Habitat for Humanity Australia and WealthPortal Pty Ltd.
Robyn has a BA from Macquarie University and an MA from the University of Technology, Sydney. She is a Master Coach, International Coaching Federation, USA; has a Diploma in Information Technology Business Application from Harvard University USA and a Diploma in Marketing Management from Macquarie University. She is an accredited facilitator and course author for the Australian Institute of Company Directors where she is also a Fellow. He enjoys working with Self Managed Super Funds and Family Trusts but offers a holistic financial advice service, canvasing a wide range of solutions for his clients. He writes a blog, The SMSF Coach, to help break down the strategies and industry jargon in to plain English for SMSF Trustees so they can take back control of their wealth. Liam advises clients via Sydney offices in Castle Hill & Windsor and throughout NSW, QLD and Victoria on regular client trips. He writes for a number of industry and public websites and magazines and presents at various seminars and conferences on SMSF, Retirement and planning for Incapacity. Liam has been the Chair of the SMSF Association NSW Local Community since 2015 and is currently a Member of the Magnitude Advisory Committee. In 2017 Liam was included in the Barron’s Top 50 Financial Advisers in Australia and is a member of the Financial Standard’s FSPower50 – The Most Influential Financial Advisers in Australia. In February 2018, Liam proudly received the CEO’s Award at the SMSF Association National Conference. Liam has a Bachelor of Business majoring in Accounting & Economics, Advanced Diploma Financial Services (Financial Planning), ASX Accredited Listed Products Adviser (ALPA) and is an SMSF Specialist Advisor™. 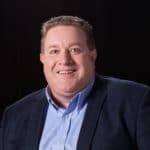 With his day to day interaction with trustees and other SMSF Association members while running his advice business, Liam brings the practitioners perspective and insights to the SMSF Association Board. Bernie Ripoll is an Electrician by trade with a Business Degree in Marketing and former Member of the Federal Parliament from 1998 to 2016. Bernie served as the Parliamentary Secretary to the Treasurer with responsibility for Financial Services, the Australian Securities and Investments Commission, the Australian Bureau of Statistics and other agencies within the Treasury portfolio. Bernie was also Shadow Minister for Financial Services and Superannuation, and Small Business and Sport. Bernie represented the Commonwealth Government in an international capacity as the alternate delegate to the Asian Development Bank and lead a number of official parliamentary and government delegations. Bernie chaired the Parliamentary Joint Committee on Corporations and Financial Services leading to the delivery of many reports and in particular work that led to the reforms of the Future of Financial Advice legislation (FoFA). Bernie is a non-executive director with Allianz Retire+, the Financial and Energy Exchange FEX Global and a committee member with the Conexus Financial Superannuation Awards. Bernie also holds board and Chair responsibilities with digital advice platform Map My Plan and Biogas energy developer, Utilitas Group. Bernie has devoted many years to community leadership and development including ten years as a director for not-for-profit medical practice Inala Primary Care.